Jian “Uzi” Zi-hao is easily one of the best players in China’s League of Legends championship series, the LPL. But on the international stage, he’s frequently come up just short of the title. With a commanding win in today’s 2018 Midseason Invitationals, Uzi seems to have started his campaign to topple the regional hierarchy of League of Legends. It started in 2013, when Jian’s team Royal Club came in 2nd to SKT T1 in the League of Legends Worlds championship. Then again, at 2014's Worlds, Jian and the Star Horn Royal Club came 2nd to a Korean team, this time Samsung White. Jump ahead to 2016, Jian is on his current team Royal Never Give Up, and they fall 3-1 to SKT T1 early on in the bracket, leaving at 5th-8th. Even last year, at 2017's Worlds, Royal Never Give Up lost a close 3-2 to—you guessed it—SKT T1. Jian has an axe to grind with SKT, as he’s considered easily one of the top players in his role worldwide. He’s been in the game as long as some of the oldest pros. and he’s only 21. He’s a highly skilled mechanical player, but his trophy case remained vacant of that cherished international title of Worlds Champion. At MSI 2018, Jian made it clear that his team is not intent on bowing out early. Royal Never Give Up faced the winners of Korea’s spring split, Kingzone DragonX, who had also been snubbed from greatness in the past. Kingzone made it known early that it was there to play, with middle lane player Gwak “Bdd” Bo-seong chalking up an early, unassisted kill on RNG’s Li “Xiaohu” Yuan-hao. Twitch is the world&apos;s leading video platform and community for gamers. But in the course of four games, the RNG squad showed resilience against Korea’s top competitors. Jian is the focal point of RNG, but his fellow players like jungler Hung “Karsa” Hau-hsuan and—outside that one solo death—Xiaohu showed up. The team pushed back against Kingzone and soon the series was on game 4, at 2-1 in RNG’s favor. 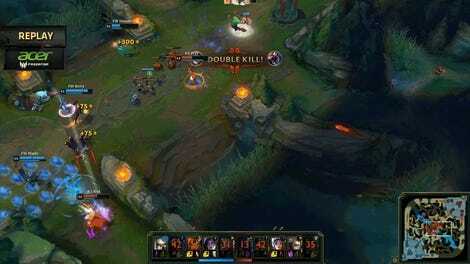 Game 4 would be the climactic point in the series, where two Baron fights would swing the match heavily. 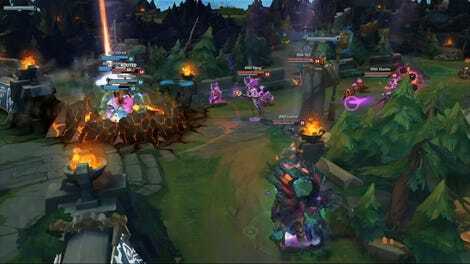 Baron Nashor, the massive monster in the upper side of the battlefield’s river, grants a powerful buff to the team that kills it upon death, and Kingzone had moved in to secure it. When RNG tried to contest it the first time, it backfired spectacularly; but the team held out, and on the second fight over the creature, things went a little differently thanks to some stellar play from Jian. Jian manages to not only survive the coming onslaught, but take two enemies down with him in the process, enough to stop Kingzone from pushing all the way into the RNG base and destroying the precious Nexus, the ultimate objective of a League of Legends match. Soon he and the rest of his team were up and respawned, and they charged down the middle lane, straight for the heart of the enemy. In the span of just about two minutes, Royal Never Give Up went from down in gold and almost out to winning their third game and the series. 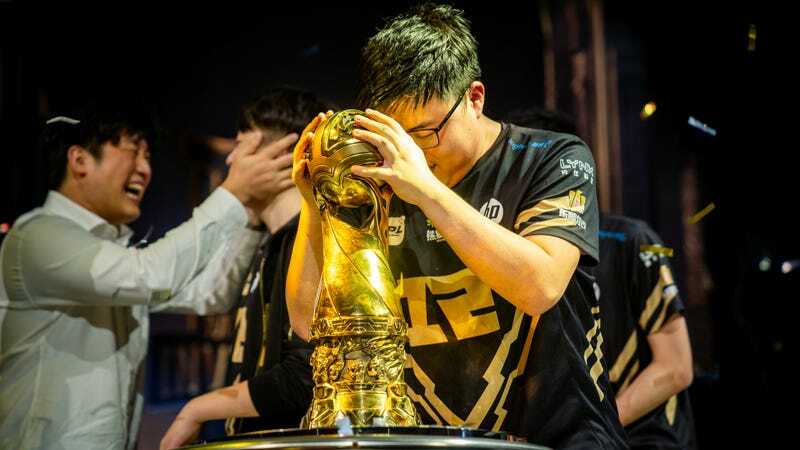 The international trophy from MSI, combined with winning the spring split of the LPL, was a glorious moment for Jian. But it’s only the first battles of a long war. Worlds 2018 looms in the distance, and you can bet that Jian is ready to see what the winner’s side of championship day looks like.